Earlier today a member of the Google team tasked with producing the new Nexus devices, Hiroshi Lockheimer, took on a Reddit Ask Me Anything (AMA). The first interesting bit of news to come from that session was the reason why Google decided to leave out wireless charging from the new handsets, and now we also know what the 5X and 6P names mean. According to Lockheimer, the X in Nexus 5X is to signify that the device is the "core of the Nexus brand" (not to mention the core of the word Nexus). Lockheimer didn't expand, but we'd guess he was referring to the fact that Nexus devices have traditionally aimed at being great all-around devices, not necessarily with the best specs, with the pure Google experience at a reasonable price point. Lockheimer also said the P in Nexus 6P means "premium", and the C in Pixel C means "convertible". Those are pretty easy to figure out given the specs and build materials of the Nexus 6P and the fact that the Pixel C is a tablet/laptop combo. We'd say the names are something of a letdown, but frankly there was no reason to expect anything bigger behind the names. It's not like we expected the names to come out as 5X to symbolize the original five members of the X-Men or anything like that. The best we figured was 6P would be for "plus" or "phablet". What do you all think of the names? I was very dissapointed with the names. By the way Google defines it, the 5X should be the 5P. I don't like the fact they turned the flagship Nexus 5 into more of a mid range phone, especially when the price difference is only 100 bucks. The nexus 5X should HAVE premium features, such as a better design, more ram, the better processor, and if possible a heftier battery. True Nexus Successor is STILL on hold. When the nexus 5 came out, I had it on my book as hands down the best phone at time of release. Well it's better than the Moto X Style. why do you always try to degrade motorola and its phone . Moto X Style/Pure is bigger - disadvantage. Moto X Style/Pure has QHD - disadvantage in terms of performance. Moto X Style/Pure will not have immediate software updates - disadvantage. Arguably the only advantage it really has is the MicroSD slot, the rest is really nebulous, and camera performance really needs to be evaluated but it's possible the new Nexus will take better pictures. Not bashing on the Moto phone, but if you're not buying a Nexus you're committing a sin. Well right now Samsung Galaxy S6 Edge is still best of the best. You can't deny! To keep da prices maybe a little low...although I agree that like the 6P should have something like OIS would be a BEAST. It's a better naming scheme than Nexus 5 (2015) etc. Also, 6P is a better name to use for their phones than 6S. Hopefully next year they'll use the names 7X and 7*whatever letter other than 7S*. I always wondered what they were going to do since they ran out of numbers. Google is now under a company called Alphabet so they'll stick with naming everything about their products after letters, like their phones, andriod versions, tablets etc. The numbers ruined it. 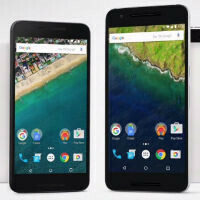 Nexus X and Nexus P would have been great. While Nexus Z is reserved for future Nexus by Sony. How we wish. I thought the P meant phablet...premium tho when there isnt a gold version available in NA??? Does anyone know if there will be a Pixel C version with a LTE radio?